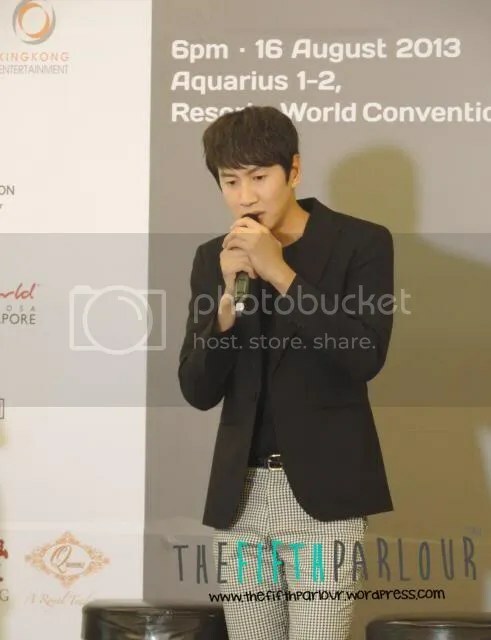 One of the most comical and part of the betrayal gang in the reality show, Running Man, is in Singapore. Lee Kwang Soo is known for his cute and funny antics on Running Man. 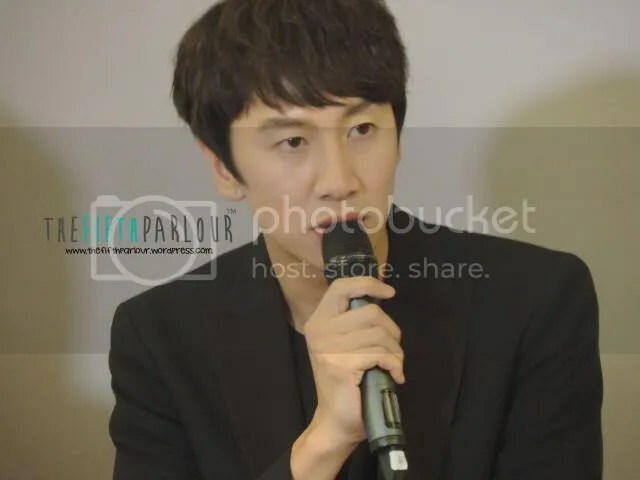 Lee Kwang Soo is in Singapore for a fanmeeting which is happening later today. It is evident that this tall guy is very shy judging from the constant smiling and blushing during the press conference. Fans, especially those who are not that tall, will always wonder what Kwang Soo secret for being tall. His answer was simple, “I love drinking milk!” I believed we all drank milk but we are still short compared to him. Most people envy Kwang Soo for his height, however, Kwang Soo shared that it is to his disadvantage as he is easily noticed in Running Man. However, he is satisfied with his height even though it can be difficult to dress up at times. Other than his height and personality, he is always being praised for his good looks. This, Asia Prince, only ranked himself seven or eight out of ten. I believed if someone sees Kwang Soo for the first time, looking at his shy personality, no one could guess that he is playing the character of a betrayer on Running Man. In order to survive and to win the game, Kwang Soo got to do what he got to do, which is to betray others. If given the chance to change his character, he would like to work out just like fellow member, Jong Kook and have a body like him. On Running Man, we got to see another side of Kwang Soo. He appears outgoing on screen. So where is that Kwang Soo at the press conference? It seems like the Running Man casts injected their bubbly personality to him which translates to him being “high” and filled with energy. So, would we be hearing wearing bells from Kwang Soo soon? Not until, Jong Kook is married he revealed. Kwang Soo said that he gets very embarrassed answering questions relating to it and has not thought about it. Kwang Soo most memorable episode of Running Man is “Kingdom of Animals” because he was the winner. If you are an avid fan of Running Man, you know this is a rare event where the last two survivors were Kwang Soo and Jong Kook. It seems like Kwang Soo misses the original Running Man casts, Song Joong Ki and Lizzy as he would love for them to come back on the show if there is an opportunity. He believes it would mean a lot to the other members too! Kwang Soo even took the opportunity to rank the members in order of competence and he wants you to keep it as a secret. 2) He will be second because he shared that Jong Kook is very sensitive to this kind of issues and he will probably be happy to hear that he is first on my ranking. 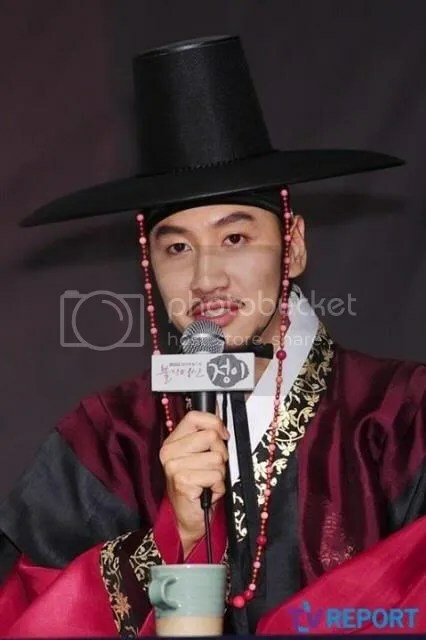 Aside from Running Man, Kwang Soo is currently on Goddess of Fire where he plays a mean character which is different from the roles he played previously; friendly and kind. He shared that he wants to try a variety of characters, especially those he has not tried before. Even though, Kwang Soo was shy throughout the press conference, he is really sporting and never fails to make the media laugh. He even did his robot dance and a short speech of winning an award. To me, the guy I see on Running Man is the same guy I saw today.